One of the joys of my life has always been doll making. 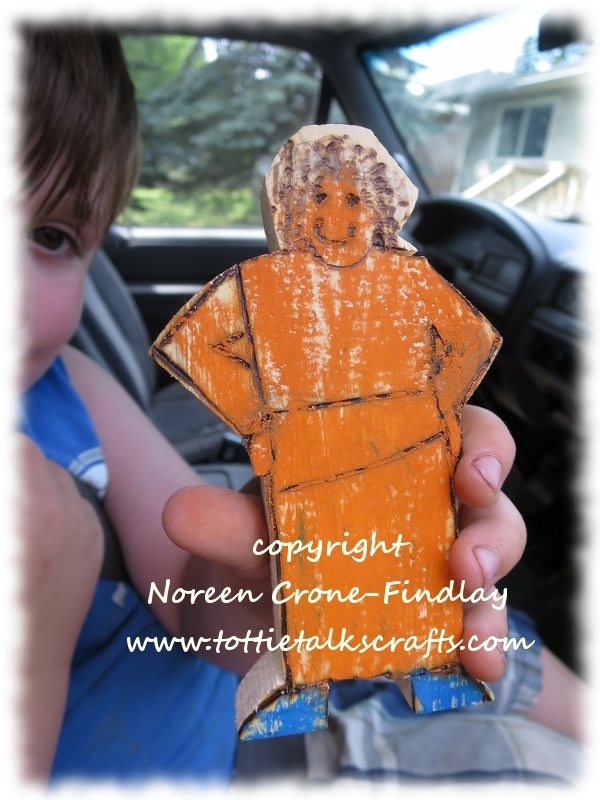 I have carved wooden dolls for as long as I remember, and I am now enjoying teaching my 5 year old grandson how to make wooden dolls, too. I gave him a piece of wood, and had him draw a figure on it. 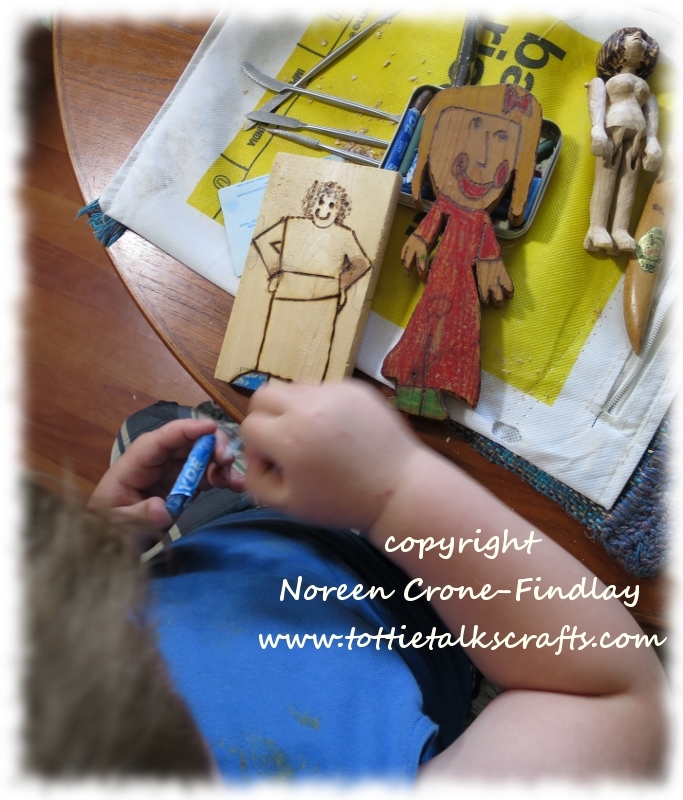 You can see to the right of his doll, a doll that his Mamma made when she was his age, and one that I am currently working on. He chose some colors, and started adding them…. I cut her out with the bandsaw and he took her home, but wasn’t pleased that she had rough edges. So, the next day, I took some of my tools over so he could work on sanding her and finishing her. 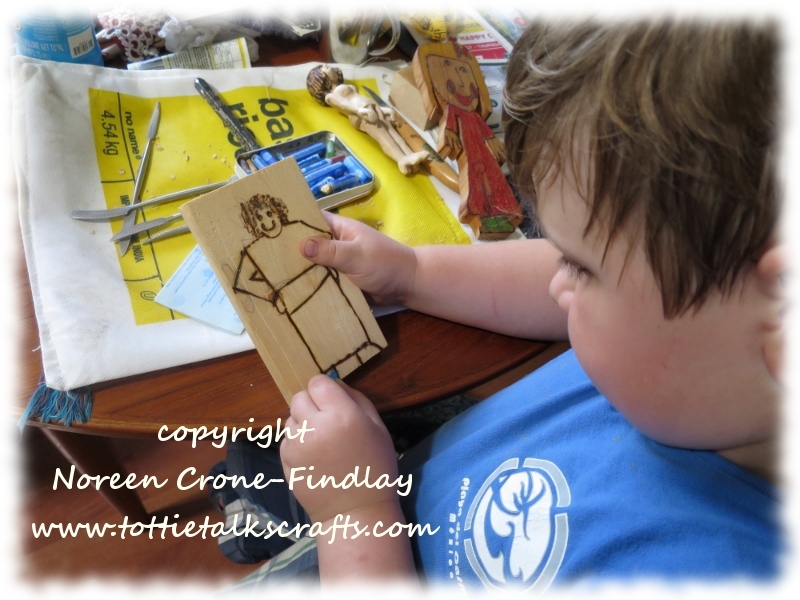 He’s already immersed in the family culture of being a Maker! I’ve been giving him lessons on how to use a hand saw in a Zen way, as he tends to approach tools with wild abandon, which is not something I encourage at all. Gently, gently, is my motto…. 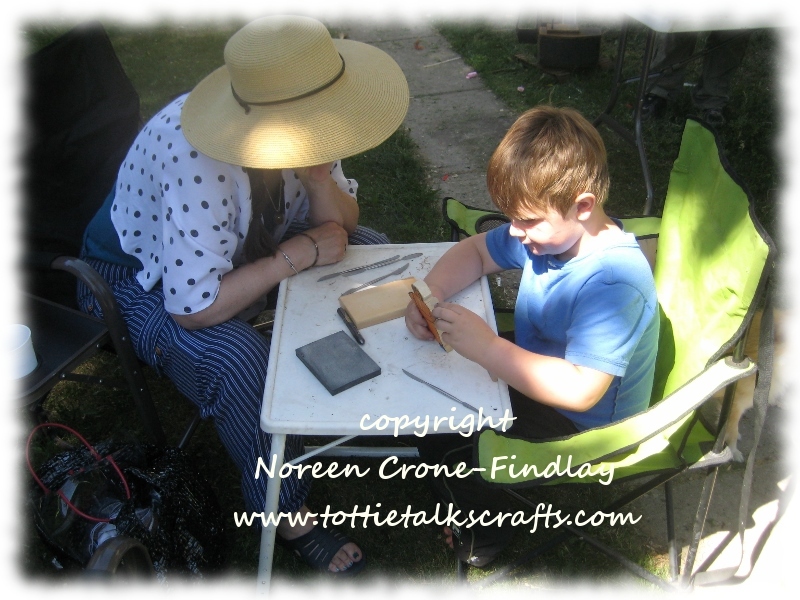 Ah, the bliss of being a granny…. Hurrah and, Whee and wow and whew….. I am such a happy and rather exhausted bunny. 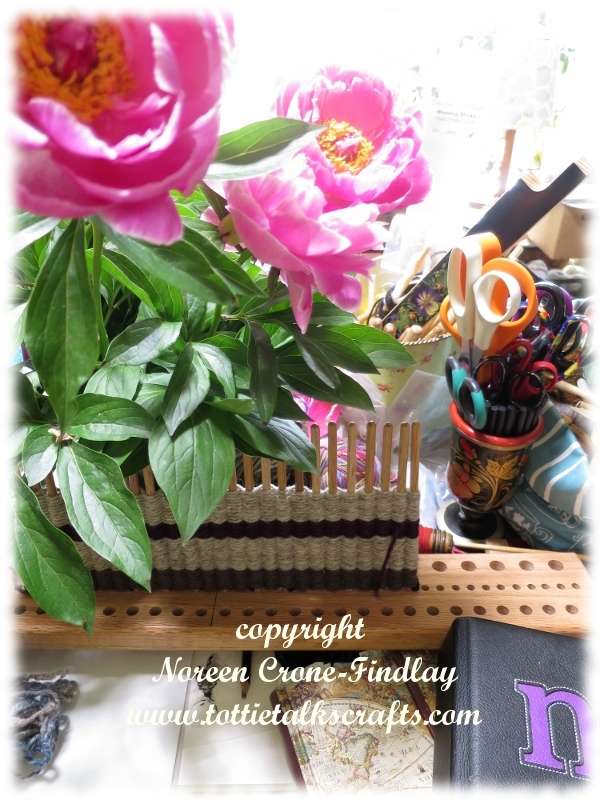 A couple of days before my actual deadline, I finished the manuscript, photos, diagrams and photo coding for my new book: Peg Looms & Weaving Sticks: Woven Projects & Techniques, Basics & Beyond. My lovely editor is off in Scotland perusing fibery goodness there, so bless her heart, she has said to me to take a week or so to do the proofreading. I love my editor. Taking a week or so to do the proofreading is the most sanity saving way of doing the slow and essential plod plod plod through the manuscript, so I am eternally grateful that she has suggested this. Like I said. I. Love. My. Editor. The final couple of weeks of finishing the book were grindingly intense and the last few days were proper pinchers, so I have been having some delicious recovery naps in the last couple of days. Changing gears and shifting back into ‘real life’ is a quietly satisfying process. I got explosively inspired for the ~NEXT~ book, so have been galloping into it, being incredibly inspired and feeling all excited and delighted and then taking another recovery nap. Must. Find. All. The. Errors. And, then…. I’ll take another lovely nap. I love the next one.